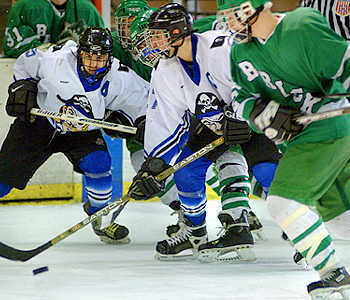 Sophomore defenseman Joe Campagna battles for the puck. 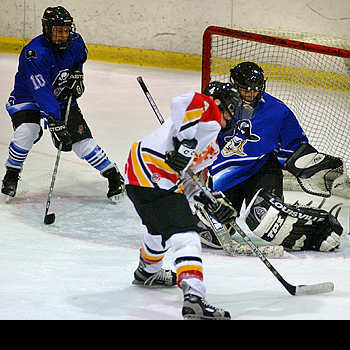 Freshman Bryan Haczyk tries to backhand the puck over the opposing goaltender. 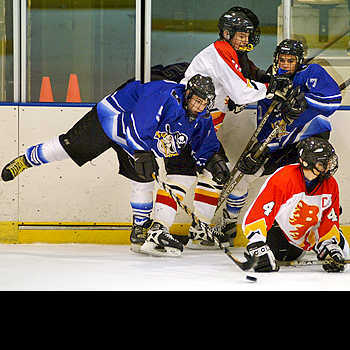 Senior Captain Scott Eberenz skates around a defender. 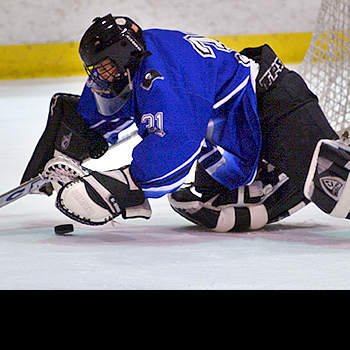 Senior goaltender Brian Liguori slides across the crease to block an opponent's shot. Liguori stomps on the loose puck. Scott Eberenz and Junior Assistant Captain Ryan Collis battle for the puck along the boards. 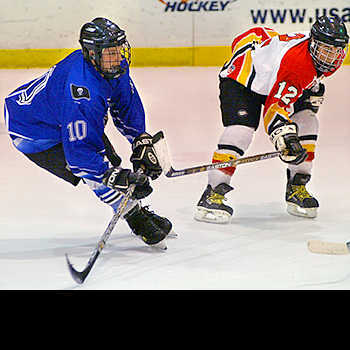 Junior defenseman Steven Grogg skates side by side with a foe. Brian Liguori sticks out the left pad to make the save while Steven Grogg covers the far post. Liguori is dead set on the opponent's shot with fellow Pirates trying to obstruct the shooter. Ryan Collis and Sophomore Ryan Sokerka sandwich a rival. Freshman forward Chris Tutalo sails a pass to a teammate. Eberenz and Collis are surrounded by rivals, but somehow they manage to escape. 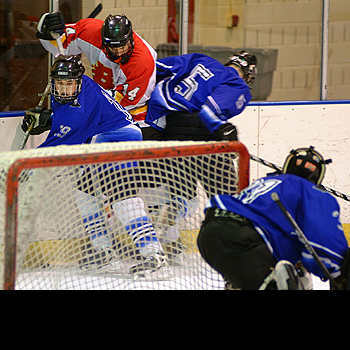 Junior Nick Silvestri breaking loose and aiming for the top shelf. Assistant Captain Silvestri demonstrating how a real crossover should be done. Joe Campagna and Ryan Collis converging to aid fellow goaltender Brian Liguori. Junior defenseman Paul Alexandrov getting down and dirty. Despite the hook, Sophomore forward Dustin Kennedy maintains control of the puck. 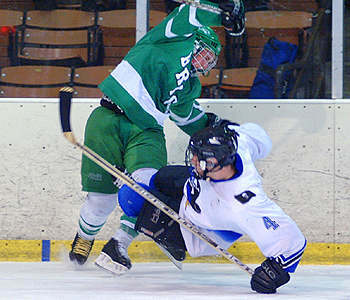 Minus a stick, Junior defenseman Adam Haczyk does all he can to keep the opponent away from goaltender Brian Liguori.